Government Jobs 2019 : Government Jobs seekers can get latest govt jobs notifications with various information such as govt vacancies, eligibility, State and Central Government Jobs and important dates updated on 26.03.2019. Check Central & State government jobs 2019 Notifications for all openings in various sectors and apply for the preferred Jobs 2019 here. Job seekers can make use of this page to find state and central government jobs by category, education, board, location, experience, qualification, etc., and this page lists out the latest job openings from state, central, railway, bank, PSU, SSC, UPSC, Army, Navy, Defence, and jobs from top private companies. 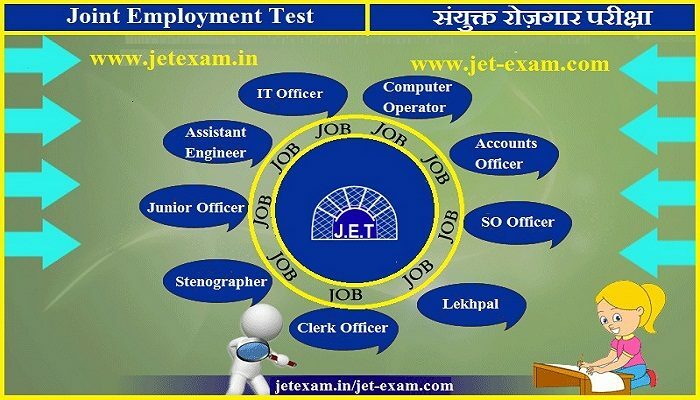 JET Exam is a competitive examination in India conducted by the JET Exam Board You can find here joint employment Test related jet exam notification, Jet exam Updates, jet latest notification and old question paper and jet exam pattern. Copyright © 2019 JET Funda. Powered by WordPress and joint employment test : find here all jet exam notification , upcoming notification , Eligibility, Dates, Registration, Syllabus, Results, sample paper , question paper ect..